Dare to Compare the all-new 3-row Subaru Ascent. Compare the 2019 Subaru Ascent to the competition and see why this Subaru crossover is the right choice for you. When you view our Subaru Ascent comparison you'll see that it leaves competitors like the 2019 Honda Pilot, 2018 Toyota Highlander and 2019 Jeep Cherokee in the dust. Schedule a test-drive and come experience this fuel-efficient Subaru SUV for yourself. Don't settle for second best -- buy or lease the new 2019 Subaru Ascent SUV at our Subaru dealership near Irvine, CA. The 2019 Subaru Ascent was designed with your hunger for adventure in mind. Standard Symmetrical All-Wheel Drive allows this Subaru SUV to conquer challenging road conditions and a fuel-efficient engine keeps your journeys moving uninterrupted. The new Subaru Ascent can return up to 27 highway mpg while boasting 260 horsepower and 277 pound-feet of torque, giving you the perfect blend of power and efficiency. Want to hitch up a trailer or jet ski? No problem. The new Ascent beats out the 2019 Honda Pilot, 2019 Jeep Cherokee and 2018 Toyota Highlander with a towing capacity of up to 5,000 pounds. 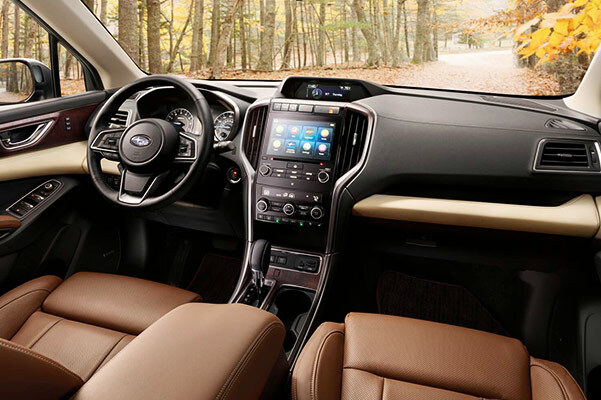 Other Subaru perks you're sure to love include an 8-speed automatic transmission, a standard roof rack, cruise control and automatic climate control. 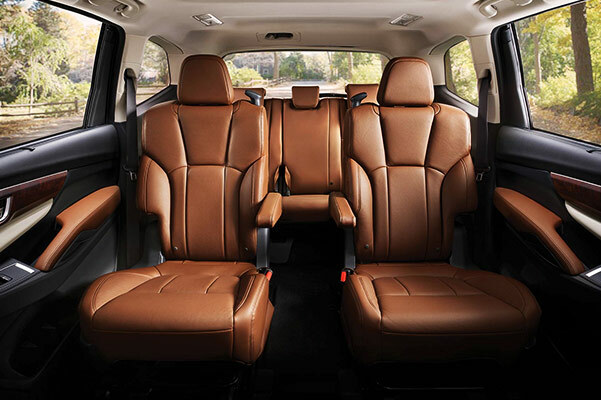 The 2019 Subaru Ascent offers 7- or 8-passenger seating, and provides you with premium comforts for the whole family. The new Ascent has many standard features that make your excursions more enjoyable. Don't settle for less and pay more for a higher trim level when you buy a Honda, Jeep or Toyota -- treat yourself to the new 2019 Subaru Ascent at McKenna Subaru.